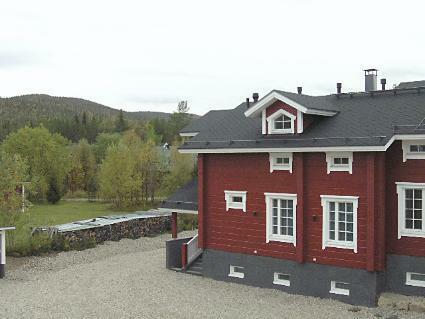 Apartment in semi-detached log house unit 2009, on three floors. Lower floor: TV room, with e.g. Play station 3 (also serves as Blue-ray/DVD player) and fridge, convertible sofa for 1 person, bedroom 2 beds with 2 swing-down upper beds, utility room (incl. spin drier, clothes ironing equipment), WC/shower, ski care room. Middle floor: living room/kitchen (equipped with Miele appliances and induction cooker), bedroom 2 beds, bedroom 2 beds, WC/shower, open porch. 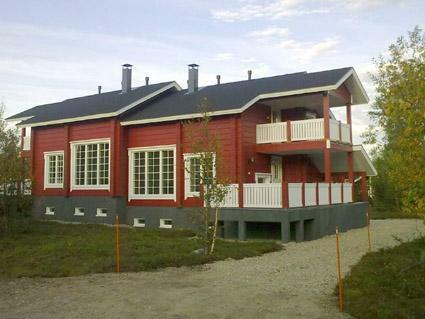 Upper floor: sauna, washroom (2 showers, jacuzzi), lounge area in loft/dressing room, WC, balcony. Stylish holiday apartment made from robust laminated logs. 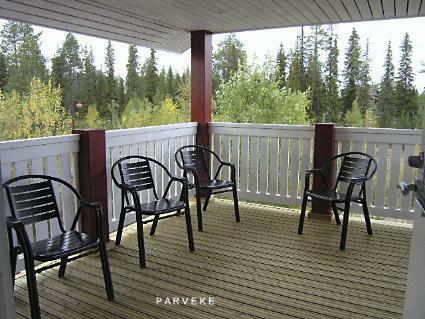 Good location with fell-view in quiet area close to all Levi Centre services. Ski trail right next to building. 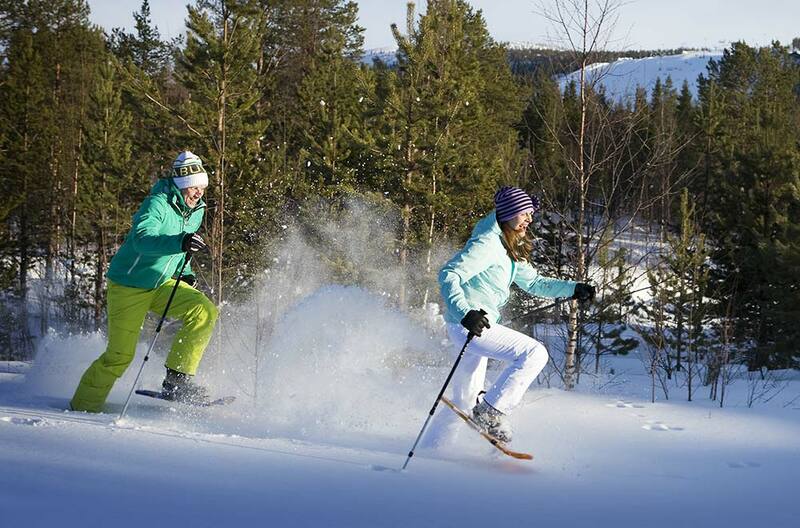 Walking distance to Levi Centre 600 m, by road 1 km. 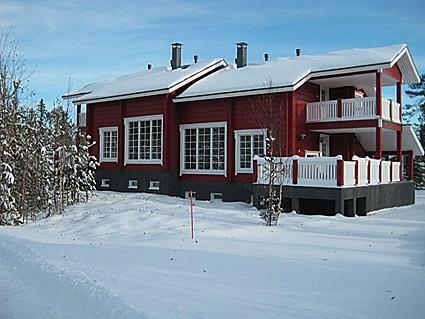 Restaurants, spa and other services 600 m  1000 m. Shore of Lake Immeljärvi 500 m.